The Context of White Supremacy welcomes Marsha Jones. A Dallas, Texas native, Ms. Jones is Co-founder and Executive Director of The Afiya Center. “Established in response to the increasing disparities between HIV incidences worldwide and the extraordinary prevalence of HIV among Black women and girls in Texas,” The Afiya Center is the only Reproductive Justice (RJ) organization in North Texas founded and directed by black females. 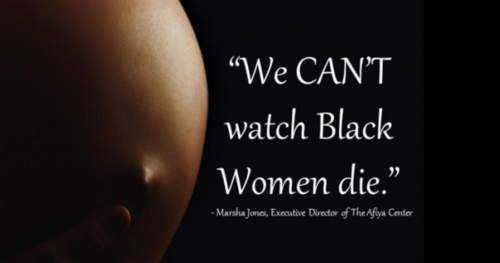 Jones and The Afiya Center were included in Ann Simmons’ Los Angeles Times exposé on the crisis-level maternal mortality rates among black females. We’ll review the groups executive report which documents the dire state of health for black females of Texas. We’ll ask Ms. Jones to explain how Racism erodes the health of expecting mothers and their children. We’ll also inquire about resources to help expecting parents locate black midwives and lactation counselors.